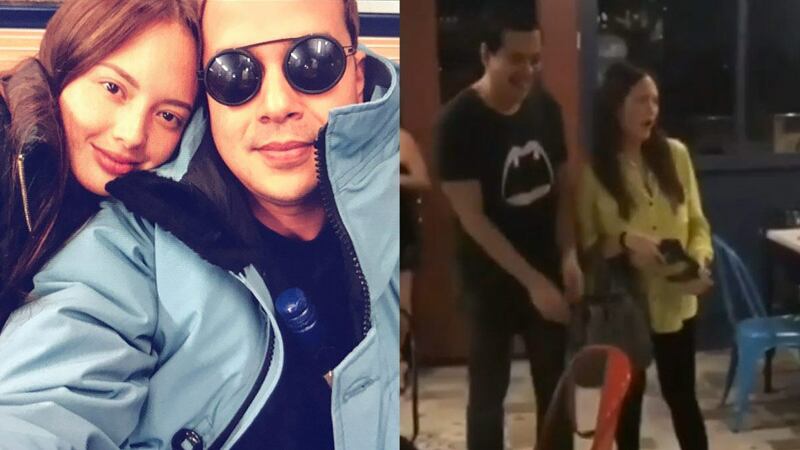 Ellen Adarna was recently spotted in public when she was thrown a surprise party by boyfriend John Lloyd Cruz to celebrate her upcoming 30th birthday on April 2. In a fan-uploaded video, Ellen is seen walking into a restaurant when a group of friends greeted her with the surprise. Netizens were quick to notice that she seemingly tried to conceal her baby bump with an oversized button-down shirt. This is not the first time Ellen showed a glimpse of her baby bump to the public. In February, Ellen happily shared a video on Instagram Stories of her and her dog. Ellen's camera panned down to her stomach and revealed a small but noticeable bump. Rumors of Ellen's pregnancy remain unaddressed since it was first reported by PEP.ph in November 2017.